First Sgt. 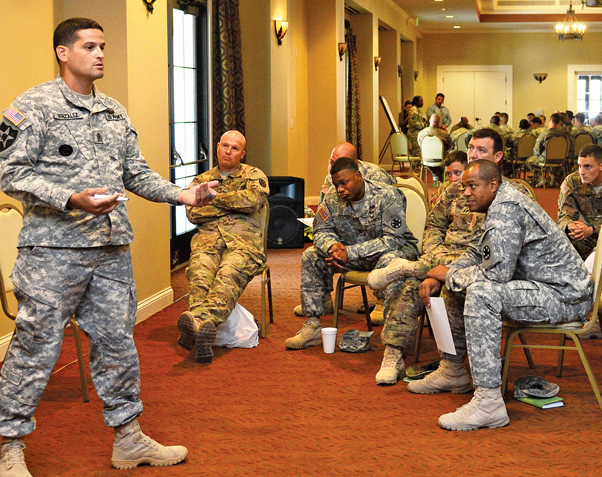 Aldo Gonzalez, of the 11th Armored Cavalry Regiment, facilitates a discussion. Company-level unit leaders gathered to discuss about and make recommendations in the battle against sexual assault and sexual harassment during a conference here in September. 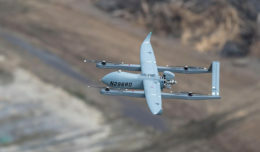 Approximately 200 Company commanders, first sergeants and platoon leaders deliberated, within five working groups, a specific problem or question. 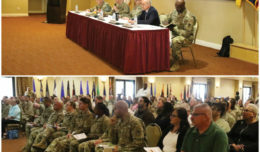 The conference was hosted by staff of the Sexual Harassment/Assault Response and Prevention program of the National Training Center and Fort Irwin. After the brainstorming sessions, each group developed recommendations and briefed them to Maj. Gen. Joseph Martin, commander of the NTC and Fort Irwin. Martin opened the meeting with remarks, and provided feedback after the presentations. Working group three tackled the question, “How to overcome the barriers of reporting?” The group stated that there are victims and bystanders, who feel more comfortable speaking with peers regarding incidents of sexual harassment and sexual assault; one reason is they feel they won’t be judged. 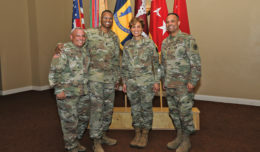 The group also expressed that there is a population of junior enlisted personnel who have as much education, experience and maturity in order to guide and/or mentor peers. A question that arose as a result was: How do we enable squad leaders and squad members with the ability to educate, train and resource their team members to identify potential instances of harassment and assault and to intervene? Working group three generated recommendations that included: finding the right, passionate individuals to serve as sexual assault response coordinators (Soldiers or civilian employees can fill the role); moving SARCS to higher unit levels; creating a team panel of peers, with whom Soldiers can speak to about sexual harassment and sexual assault, and; creating or using additional advertising of reporting options for victims. The additional four topics addressed by working groups were: SHARP training for family members seems to be non-existent; the training standard alone is not effective; the strong influence society has, as a whole, as to what behaviors, conduct, and attire is appropriate and acceptable – on duty and off duty; SHARP program focus is centered on incident response/advocacy services with little focus on prevention and bystander intervention. Martin remarked on the topic of bystander intervention and stated that Soldiers perform courageously to help others in combat and hostile environments. There needs to be more reporting and intervention from bystanders. A culture problem exists, but – per Army regulation – every Soldier who observes a sexual assault should report it, said Martin. Agpalza agreed a culture change is necessary, because inappropriate behaviors are unacceptable, counter to the Army Values and affect the overall mission success. Education on what’s acceptable behavior can “create that culture change so we can get away from having to prevent” incidents. “What I would like to see happen during my time here is to achieve a culture change where people understand and can emulate behavior that is acceptable and intervene in instances where they see unacceptable behavior and … refocus that individual [to] more positive behaviors,” Agpalza said. Creating a discussion among Soldiers about sexual assault and harassment is helpful, said Sgt. 1st Class Charles Smith, a maintenance trainer with Goldminer Team, Operations Group here. He stated that discussions can be initiated in social media, where outside communities can also be involved. Getting junior Soldiers together to talk was one of the best suggestions from the conference, said Sgt. 1st Class Marvin Williams, a medical trainer with the Goldminer Team here.